What a beautiful-looking book this is. 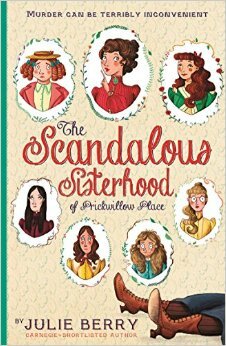 Illustrator Nicola Kinnear and designer Mina Bach have done a superb job on the cover of THE SCANDALOUS SISTERHOOD OF PRICKWILLOW PLACE. The title, of course, is pretty awesome too – and the strapline ‘Murder can be terribly inconvenient’ is an instant hook for me. I adore Agatha Christie, and love murder mysteries as long as they aren’t violent or grisly. The Scandalous Sisterhood is neither, and much to my great delight and satisfaction, it is a really, really great read. 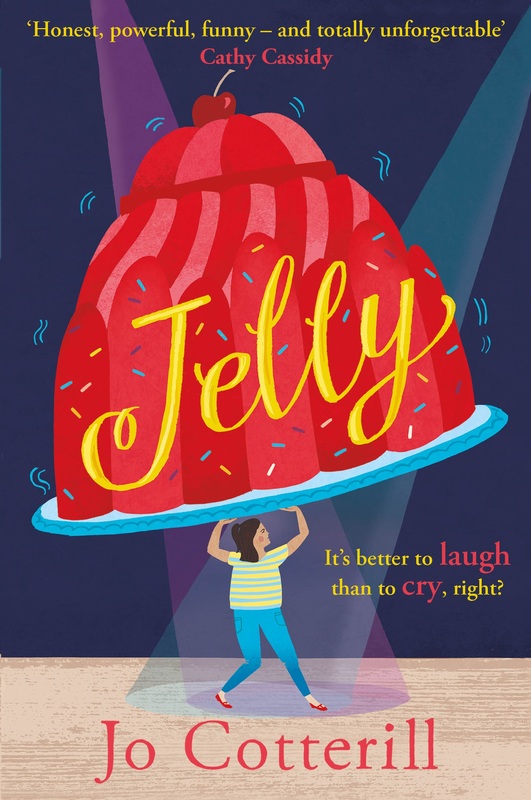 I’ve not read Julie Berry before, but this is the kind of book I love to curl up with on a sofa and mug of tea. Probably a Tunnocks Teacake too. Seven girls (they are helpfully illustrated inside the front cover along with brief descriptions of their backgrounds) live at Saint Etheldreda’s School for Young Ladies in Ely, an establishment run by the overbearing Constance Plackett and her odious brother Aldous Godding. (May I just say, I’m a sucker for a great name. It’s the main reason I loved Harry Potter, actually. Hippogriff and whatnots aside, how can you not delight in names like Albus Dumbledore and Dolores Umbridge?) One ordinary Sunday lunchtime, the headmistress and her brother drop dead within seconds of eating their dinner. Undoubtably poisoned – but by whom and how? And if there’s no headmistress, the girls will be sent home, which is something none of them want. So together, they agree they’ll bury the bodies and run the place themselves. The Sisterhood is packed with wonderful characters, from Disgraceful Mary Jane, to Dull Martha (who is sweetly slow on the uptake) to Stout Alice, who is persuaded to impersonate their deceased headmistress. And there’s no let up either in the catastrophes befalling the girls’ cover-up. Friends of the odious brother arrive that very afternoon for his surprise birthday party; the daily help turns up the next morning wanting to speak to the headmistress; there’s a strawberry social they’re all due to attend (I love the idea of a strawberry social!) and what about the rather handsome rakish young man who’s turned up in the neighbourhood? Not to mention the very real possibility that one of THEM might turn out to be the murderer…and is Stout Alice’s own life in danger by playing Constance Plackett? This book is a delight. I loved every page and warmed thoroughly to the cast of carefully-drawn (verbally and illustratively) characters. The twist over a revealed identity late on had me gasping in admiration, and I was cheering the girls on throughout. I’d think any confident reader (boy or girl) who loves to get really stuck into a book will be entranced by this. It’s properly topping. And look! A topping trailer to go with it! Eat your heart out, Midsomer Murders. Sounds fantastic! I think the biggest McG child would like this very much.